Founded in 2009, DAGi Corporation Ltd. is a specialist in capacitive stylus for touchscreen devices. Aiming to provide the world&apos;s touchscreen users with an unobstructed and highly accurate stylus experience, the company developed the innovative DAGi Transparent Capacitive Stylus. Unlike the other stylus products on the market, the DAGi Transparent Capacitive Stylus features a special see-through tip to enable the user to fully see what’s on the screen as they draw or write. The multi-nationally patented design can greatly enhance the user&apos;s accuracy and efficiency. Certified by ROHS, CE, CB, FCC, IEC and SGS, the DAGi Transparent Capacitive Stylus is available in several varieties and models to suit different purposes. For example, the P505 comes with a special pen cover, while the P702 features an elegant rotatable body and a metallic clip. The DAGi Transparent Capacitive Stylus is the ideal choice for both professionals and everyday users. It is the go-to stylus for Australian illustrator Andrew Popescu, Singaporean illustrator Joanne Soh and Microsoft Surface user Kevin from the US. The DAGi Transparent Capacitive Stylus is also recommended by the renowned German electronics magazine - c&apos;t Magazin. DAGi&apos;s high quality stylus products are enjoyed by users worldwide for art, business and games. DAGi is currently shipping to the US, Canada, Germany, Spain, France, Japan, Korea, Australia, Singapore, Indonesia and many other countries. The company also offers OEM and ODM services. 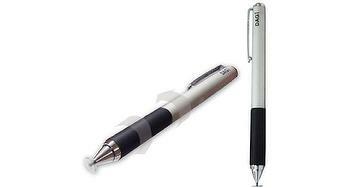 The DAGi Transparent Capacitive Stylus is available on iDealEZ.com. 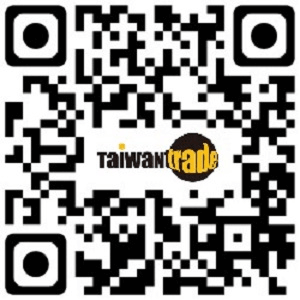 Visit Taiwantrade.com to find out more about DAGi.